Observers have criticised a number of Moroccan immigration policies and practices, including the lengthy periods of time (in some cases years) foreign nationals are held in administrative detention; the practice of stranding foreign nationals in the desert; detaining vulnerable groups, including pregnant women and children; and opening fire on migrants attempting to cross into the Spanish enclaves of Ceuta and Melilla (EMHRN 2010; Flynn 2006); and for the criminalisation of both irregular entry to and exit from the country (GADEM 2009). Additionally, rights groups have argued that officials routinely fail to strictly apply the provisions for the Migration Act (GADEM 2009; EMHRN 2010). Observers have also directed criticism at the EU for abetting Moroccan immigration practices. A 2010 study concluded that EU cooperation with Morocco on immigration policy “runs the risk of contributing directly to the implementation of migration policies that are contrary to the basic rights of migrants and refugees” (EMHRN 2010, p.54). Key norms. The Migration Act (2003) provides grounds for the deportation, expulsion, and detention of foreign nationals who are not authorized to enter or remain in Morocco, including detailed specifications on lengths of detention and access to rights. The act also provides stiff criminal penalties for violations of these provisions, drawing rebuke from the Special Rapporteur on Migrant Workers (Special Rapporteur on Migrant Workers 2004, p. 15). Prior to adoption of the Migration Act, various laws pertaining to the entry, stay, and residence of migrants in Morocco were scattered across a number of different laws, and focused exclusively on the entry, stay and residence of foreign nationals in Morocco, and not their exit from the country (GADEM 2009, p. 11). According to the Moroccan Interior Minister, the Migration Act aligns Moroccan law with relevant international conventions that address the rights of migrants and irregular foreign nationals and respects the agreements established between Morocco and its partners in the fight against emigration (GADEM 2009, p.10). The Migration Act, which observers claim closely resembles the 1945 French law (as amended by the Sarkozy government in 2003)—including in its explicit references to “retention centres”—has been criticised for containing ample detail, but no strategy in place to put the law into practice, and thus that it serves only as a façade of the country’s commitment to addressing irregular migration (GADEM 2009, p.19). The law emerged following a series of developments and “emergency” events in the late 1990s and early 2000s, including a significant rise in the numbers of irregular migrants embarking on southern Spain and the Canary Islands by boat from Morocco as well as the 2003 terrorist attacks in Casablanca (Duvell & Vollmer 2009, p.19). Grounds for administrative detention and expulsion. Article 34 of the Migration Act stipulates that the “administration” has the authority to detain non-citizens who have been denied entry into the country and/or who have been issued an expulsion or deportation order (Art. 34). In practice, the Interior Ministry carries out this function (Rachidi 2011c). Grounds for deportation are provided in Article 21 of the Migration Act. These include: 1) unauthorized entry; 2) remaining in the country without a valid visa or residence permit; and 3) use of counterfeit or stolen identity documents. According to Article 22, deported foreign nationals can be prohibited from re-entering Moroccan territory for up to one year (Art. 22). Anyone issued with a deportation order has the right to immediately contact a lawyer, the consulate of his country, or a person of his/her choice (Art. 24) and can appeal to the relevant administrative tribunal within 48 hours, which must decide on the case, or refer the case to a court near to where the non-citizen is residing, within four days (Art. 23). Foreign nationals have the right to an interpreter; to attend the hearing; and to assistance from a lawyer (Art. 23). The administrative tribunal’s decision can be appealed before the Administrative Chamber of the Supreme Court within one month; however this appeal process does not suspend deportation (Art. 24). Grounds for expulsion are contained in Articles 25 and 26 of the Migration Act, and can be applied to non-nationals who are considered to be a threat to public order, with the exception of vulnerable persons. Expulsion orders issued to foreign nationals convicted on charges relating to terrorism can be carried out immediately (Art. 26). Article 29 stipulates that a foreign national issued with an expulsion order can be expulsed to his/her country of nationality; the country that issued his/her travel documents; or to another country that he/she is legally permitted to enter. Pregnant women, minors, and persons who face a threat to their life or freedom or who will be exposed to cruel, inhuman, or degrading treatment in their country of origin cannot be returned (Arts. 29-31). The law stipulates that foreign nationals detained on administrative grounds can be immediately informed of their rights (with the assistance of an interpreter if necessary) and that the prosecutor be immediately informed. According to one observer, associations working on migrant rights in Morocco are petitioning for a change in the wording of the law in order to require that the administration inform migrants of their rights, not just have the possibility to (Rachidi 2011c). A court order is required for the detention of foreign nationals beyond 24 hours, which can be extended for up to fifteen days. The law does not specify exactly where these foreign nationals are to be detained, stating only that they be held at the initial place of detention, or under house arrest, surrendering their identity documents to the police. The lack of specificity as to where detainees are to be held was raised as a concern by the Special Rapporteur on Migrant Workers in 2004 (Special Rapporteur on Migrant Workers 2004, p.15). A judge can order the extension of detention for a further ten days, in cases of extreme urgency, serious threats to public order, or where further time is required to obtain valid travel documents. Maximum length of detention. The cumulative maximum length of detention appears to be 26 days; however the law does not specify whether or not the judge can order the extension of detention on multiple occasions, which could leave foreign nationals vulnerable to indefinite detention. In practice, observers have told the Global Detention Project that immigration detainees are often held in detention for lengthy periods, including a report of a woman and her daughter being detained for two months (Rachidi 2011c). Detainees can appeal their detention at the Court of Appeals, which must make a decision on the case within 48 hours. Detailed records of all detained persons are meant to be kept at the detention facilities, including information on the progress of the foreign national’s situation (Art. 35). The prosecutor is supposed to visit the facility to ensure correct procedures are being followed (Art. 36). The law provides for certain rights of detained non-nationals, including access to an interpreter, a doctor, a lawyer, and consulate (Art. 36). According to various observers, many of the protections provided to immigrants in the Migration Act—including rights and procedures for administrative detention, guarantees offered in the context of removal procedures, and appeal procedures—are not applied in practice (GADEM 2009, p. 24; EMHRN 2010, p.29). The Euro-Mediterranean Human Rights Network (EMHRN) claims that, “in practice, removal and expulsion orders are made in various ways (decisions communicated verbally or not communicated in advance, etc. ); and reasons for expulsions and deportations are rarely provided, in clear violation of the Migration Act. In practice, there is no procedure for appealing expulsion orders, except with respect to the destination country, if specific in the order. Even where an appeal procedure exists, in the case of administrative removals, the procedure is largely ineffective due to insufficient information being provided to the migrants and the failure of officials to follow procedures” (EMHRN 2010, p.29). These concerns echo those raised by the Special Rapporteur on Migrant Workers in 2004 when she said, “The problem is the lack of financial resources to strengthen the capacity of those bodies responsible for combating illegal migration and managing migration generally. The lack of technical and structural resources, and of specific allocations in police and social and health service budgets for assistance to migrants in an illegal situation, is a cause for concern” (Special Rapporteur on Migrant Workers 2004, p.18). Transit zones. Foreign nationals denied entry to Morocco or who enter the country seeking asylum can be held in waiting areas—zone d’attente—located in airports and at other ports of entry for the time required to arrange departure or to determine if there are reasonable grounds for the non-citizen to enter asylum procedures (Art. 38). The law grants authority to the “administration”—in practice the border police (Police Aux Frontières, or PAF) operating under instructions from the Director General for National Security (La direction générale de la sureté nationale, or DGSN)—to allocate a space for this detention and requires the authorities to provide a written order authorising detention for up to 48 hours, which can be renewed for an additional 48 hours, if required. If the non-citizen cannot be deported within four days, or if he/she requests asylum, a judge can authorise an additional eight days of detention in the transit zone, which can be appealed to the Court of Appeal, or his representative, though the appeal does not suspend the detention. In exceptional cases, a non-citizen can be held for up to an additional eight days in the transit zone, if a judge deems it necessary (Art. 38). If a judge fails to provide official authorisation for the detention of a non-citizen within the prescribed time, the non-citizen may enter Moroccan territory with a temporary 8-day visa. He/she must leave the country within that time, unless granted a temporary residence permit or a registration card application receipt (Art. 38). Criminalisation of irregular entry, stay, and exit. Irregular entry, residence, and exit are grounds for criminal penalties (Arts. 42-48). These include imprisonment for up to six months and/or a fine of up to 20,000 dirhams (approximately €1,780) for foreign nationals who enter or attempt to enter Morocco irregularly, or who remain on Moroccan territory beyond the period authorized by his/her visa (the penalty can be doubled for recurring offences); imprisonment for up to one year and/or a fine of up to 30,000 dirhams (approximately €2,670) for foreign nationals residing in Morocco who are not in possession of a valid registration or residence card (the penalty can be doubled for recurring offences); imprisonment for up to two years for foreign nationals who evade or attempt to evade the execution of an expulsion or deportation order at the border or who re-enter Moroccan territory after having been expelled or banned from the country. Foreign nationals charged with these violations can be banned from re-entering Morocco for up to ten years, and are automatically deported upon the completion of their prison sentence (Art. 44). In addition, significant penalties exist for the irregular exit from the country, and for anyone who assists or organises the irregular exit from the country. Any person who leaves Moroccan territory in a clandestine way, using fraudulent means to cross a border by land, sea, or air, and who fails to provide valid travel or visa documents, or who uses forged or impersonated documents to enter the country, or anyone who enters or departs from Moroccan territory at places other than those created for the purpose is liable to pay a fine of up to 10,000 dirhams (approximately €890) and/or face imprisonment for up to six months (Art. 50). Observers have criticised the criminalisation of irregular “exit” from the country as a violation of Article 13 of the Universal Declaration of Human Rights, which safeguards the right of all individuals “to leave any country, including his own" (GADEM 2009, p.19). Those who assist the unauthorized entry or exit of non-nationals are also liable to criminal charges and penalties (Art. 51 and 52). Members of organised crime rings established for these purposes can be punished according to Art. 294 of the Penal Code. Penalties are more severe for those assisting illegal entry or exit to the country if disability or death results (Art. 52). In addition, all means of transportation belonging to those used to commit such crimes can be confiscated by authorities (Art. 53). Carrier sanctions. Any carrier who brings a non-citizen to Moroccan territory without valid travel or visa documents is responsible for removing the non-citizen from the country, either back to the point where the person boarded the craft, or to another country that will legally admit the non-citizen (Art. 37). The carrier can be fined up to 10,000 dirhams per irregular passenger, as detailed by a police report (Art. 48). If a non-citizen cannot be removed from Morocco—either because the transport carrier refuses to take back the non-citizen or if the authorities of the country of destination refuse him/her entry—the carrier must bear all living and deportation expenses relating to the non-citizen, if the non-citizen is unable to pay their own way (Art. 37). Asylum seekers. Morocco is a signatory to the 1951 Refugee Convention and its 1967 Protocol, as well as to the 1969 OAU Convention on the rights of refugees. Law No. 2-57-1256 of 29 August 1957 outlines procedures for implementation of the Refugee Convention, providing legislation enabling refugees recognised by the UNHCR to legalise their residency in Morocco (EMHRN 2010, p.38). The Bureau des réfugiés et apartrides (BRA) was established to process asylum seekers and recognise refugees registered with UNHCR, but their operations were suspended in 2004, halting any implementation of the refugee law. Before 2004, UNHCR-registered refugees received residence permits. Since 2004, refugees holding a UNHCR certificate have generally been permitted to remain in the country, but they are not granted residency permits, leaving them vulnerable to irregular status and a lack of access to most rights, including access to the labour market (EMHRN 2010, p. 40-41). UNHCR is responsible for refugee status determination (RSD) based on a 2007 agreement. 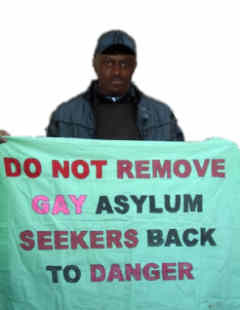 The 2003 Migration Act provides some rights to asylum seekers, including in relation to residency (Art. 17), requesting asylum at the border when entry is denied (Art. 38), and protection against expulsion and administrative removal (Art. 29). Observers have noted, however, that these procedures are not generally practiced (EMHRN 2010, p.38-39). Migrant workers. Morocco ratified the International Convention on the Protection of the Rights of All Migrant Workers and Members of Their Families on 21 June 1993. However, Moroccan legislation is weak with respect guarantees to migrant workers (EMHRN 2010, p.24). The status of migrant workers can quickly change from regular to irregular in Morocco, with employers granted the authority to revoke the work permits of their migrant employees (EMHRN 2010, p. 18). There have also been reports of arbitrary expulsions of regular migrants from the country (EMHRN 2010, p.24). EU-Morocco relations. The EU and Morocco have established several agreements aimed at managing migration flows. According to one published study, “By strengthening a type of cooperation whose impact remains uneven, the European Union runs the risk of contributing directly to the implementation of migration policies that are contrary to the basic rights of migrants and refugees. In so doing, the EU also encourages bilateral policies and practices between its member states and the countries of North Africa, even though the latter are little concerned with the rights of migrants and refugees” (EMHRN 2010, p.54). The EU has provided significant funding to the Interior Ministry since 2003 to train police and improve border monitoring. In return for this assistance, Morocco is expected to assist in “managing the stock” of migrants by “closing down access points into Morocco in the south and blocking exit points to Europe in the north” (cited in Flynn & Cannon 2010). The EU’s general framework for bilateral cooperation with Morocco (the Barcelona Process and European Neighborhood Policy, or ENP) was modified in 2005 to include migration as a key area for future collaboration. Agreements have included a number of items related to asylum and border management, including improving third-country capacity for migration management and refugee protection in accordance with international law; support for operational border-management activities; enhanced document security capabilities; prevention of unauthorized migration; development of synergies between migration and development; and improved expulsion capabilities. An association agreement was signed by the EU and Morocco in 1996 that established the legal foundation for all cooperation (EMHRN 2010, p.56). Morocco is also a participant to the European Neighbourhood Policy (ENP), through which the EU establishes its commitment to “assist in reinforcing the neighbouring countries’ efforts to combat illegal migration and to establish efficient mechanisms for returns, especially illegal transit migration.” The ENP has resulted in the commitment of several hundred million Euros to Morocco for implementing projects or reforms in the designated policy area, including a budgetary allocation of 40 million Euros for strengthening border controls between 2004-2006. Funding is intended to go towards personnel training, supply of border management equipment raising public awareness amongst the social groups “affected” by illegal emigration. No assessments of the projects, however, have been made available (EMHRN 2010, p.61). According to one observer, Moroccan authorities have mobilized some 11,000 security force personnel, including 4,500 for border surveillance, to enhance information sharing; coastal monitoring; land border monitoring; generally “managing the ‘stock’” by rescuing migrants at sea and in the desert, performing identity checks and repatriation; surveillance and the dismantling of networks; and broadening awareness of the risks associated with irregular migration and deterring youths from pursuing such ends (GADEM 2009, p. 19). The European Commission and Morocco have been negotiating a readmission agreement since 2000, with unresolved disagreements relating to the evidence required to prove that a migrant has transited through Morocco before arriving in Europe, causing the finalization of it to be stalled (EMHRN 2010, p. 69). While the law refers to detention centres — zones de retention — these facilities have not, to date, been constructed in Morocco. The authorities therefore use other places of confinement to detain migrants for status-related violations, including police stations, prisons, and gendarmerie facilities (Rachidi 2011c). These facilities include the prison de Oujda in eastern Morocco near Algéria; the Commissariat Central of Oujda, on the Algerian border; the Al Hoceima and Nador prisons, both located in northeast Morocco, close to the borders with Algeria and the Spanish enclave of Melilla; the Casablanca prison; Aéroport Mohamed V transit centre in Casablanca; the Commissariat Al Maârif of Casablanca; Marrakesh Zone de Retention at the international airport; prison de Sale near Rabat; Oued Laou, Tétouan and Tanger prisons, near the Spanish enclave of Ceuta in the north of the country; Laayoune prison, located in the south, close to the border with Mauritania; and Centre de la Gendarmerie Royale de Laayoune (Rachidi 2011a). This latter facility is an informal detention centre where migrants are received and detained while awaiting expulsion to Mauritania (Rachidi 2011a). In 2006, Amnesty International criticised Moroccan authorities for their practice of detaining migrants, asylum-seekers, and refugees in military camps, without access to legal representation and without providing detainees information on their rights. They also reported that hundreds of people, including UNHCR-registered refugees and asylum seekers, were abandoned in the desert in early October 2005, before making their own way to the military bases of Nador and Guelmim. Upon reaching the military bases, they were reportedly registered by military personnel, housed in groups of seven in canvas tents, given food and water, but not given any information on how long they would remain at the camps. The camps were described as having insufficient washing and medical facilities, and among the detainees was a pregnant women and young children. In addition, there were reports of sexual harassment by military personnel (AI 2006, p.29). Most removals (including expulsions) from Morocco are to its neighbours Algeria (at Oujda) and, less frequently, to Mauritania. People under removal orders are sometimes forced to walk to a neighboring country in conditions equivalent to inhuman or degrading treatment. These include night-time expulsions in areas where criminals specifically targeting migrants operate; expulsions in desert areas without food or water; and expulsion in landmine ridden areas near the border with Mauritania (EMHRN 2010, p.30). Medecins Sans Frontieres (MSF), in a 2009 report, raised concerns that the forcible detention of migrants in Morocco makes them vulnerable to sexual exploitation, prostitution, and forced labour linked to human-trafficking networks, particularly women and children (MSF 2009). UNHCR visited asylum seekers held at the Guelmim military base in October 2005. After initially being denied access to the asylum seekers, they eventually gained access and were able to conduct refugee status determinations, leading to the release of some persons recognised as refugees (AI 2006, p.30). UNHCR was denied access to people of concern at the military base of Nador during October and November 2005. Detainees at those facilities were later taken to the border with Algeria, near Oujda, for expulsion at the end of November, despite the fact that authorities were aware that they were seeking asylum or were of concern to UNHCR (AI 2006, p. 30). Spain has funded the construction of residential centres for unaccompanied children returned to Morocco from Spain (HRW 2008, p.5-6). According to one human rights groups, at the end of 2009 there were an estimated 75,000 migrants in Morocco, of which approximately 10,000 were irregular, 766 were refugees, and 469 had applied for asylum (EMHRN 2010, p.16). Others put the figure of irregular migrants at around 15,000 (Duvell and Vollmer 2009, p.11). UNHCR recorded 610 pending asylum applicants in the country at the end of 2009 (UNHCR 2010, p.28). In 2007, 6,023 irregular migrants were apprehended by Moroccan authorities. This figure has significantly decreased since 2002, when some 16,034 irregular migrants were stopped by authorities (Duvell & Vollmer 2009, p. 21). The majority of irregular migrants in Morocco originate from sub-Saharan Africa and enter the country through Algeria, near Oujda, after having traversed the Sahara desert (Haas in Duvell & Vollmer 2009, p.22-23). According to one observer, the main source countries include Nigeria, Mali, Senegal, Ivory Coast, Guinea, and Cameroon; are 80 percent men, and 20 percent women (Afvic-Cisp in Duvell & Vollmer 2009, p.23). 1 For more information about the law, see GADEM, “Etude sur le cadre juridique relatif à la condition des étrangers,” December 2008, www.gadem-asso.org/Etude-sur-le-cadre-juridique.